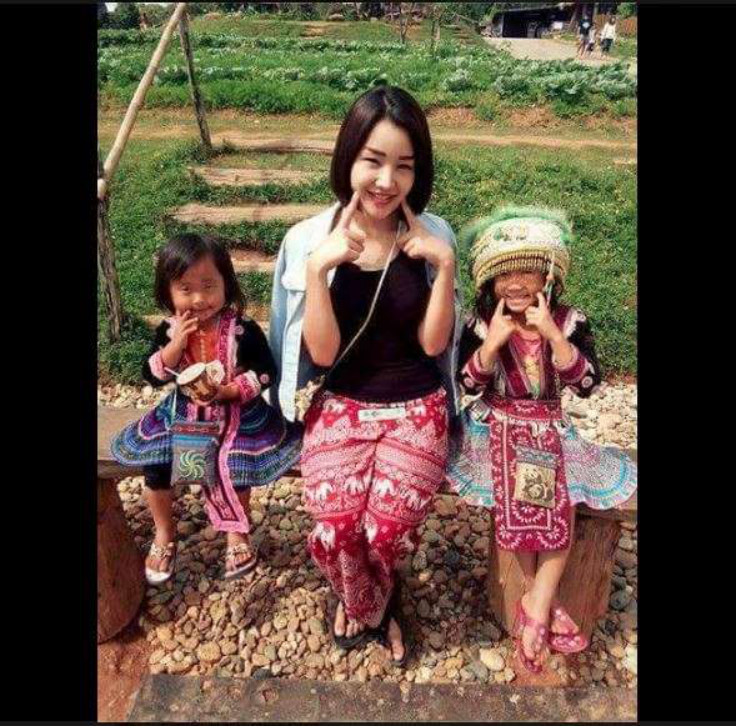 Bukit Lanjan residents need not resort to what a Thai woman did to get the attention of the authorities for municipal or other public services. The Thai woman took a bath in a pothole to protest bad conditions in her hometown’s roads. Gerakan Deputy Speaker Syed Abdul Razak Alsagoff said there are many pothole-riddled roads in Bukit Lanjan but “there is no need to resort to what the Thai woman did”. “Just post your complain to this blog and I will see what I can do about it. The authorities who are responsible will surely hear from me,” he added. Syed Razak said “it will help if you can attach a photo and share it with this blog. Please also let us know the exact location”. “Alternatively, you can also join the ‘Bukit Lanjan Residents’ Facebook closed group and I will also act on your complaint and other future municipal woes. “It is your right as taxpayers and ratepayers to demand service from the federal and local governments,” Syed Razak, who is Gerakan’s nominee to contest N.37 Bukit Lanjan as a Barisan Nasional (BN) candidate in the 14th General Election (GE14), said. Syed Razak said: “We need to lodge complaints to the right authorities to get service going. There is no point in not doing anything and just sulk, remain frustrated and angry. 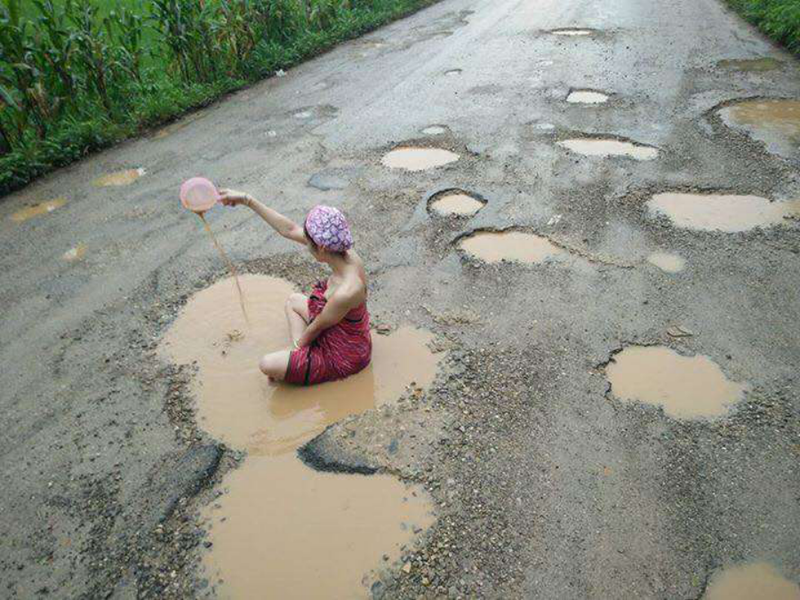 Thai woman takes bath in pothole to protest bad condition of her hometown’s roads (PHOTOS) A picture of a woman bathing in a man-sized pothole in the middle of the road in Tak province went viral this week. Apparently, her natural mud bath was for a good cause.The woman, who Sanook reported to be a 25-year-old model named “Palm,” decided to take a protest bath after having enough of the condition of her hometown’s roads in Mae Ramat district. Palm, who works in Bangkok, said that she comes home often to visit family and has to drive through these potholes.At first, she planned on showing the pictures only to her friends as a joke and didn’t plan to release the photos to the public. However, now that they’re out there, Palm hopes that they’ll get the attention of the government agencies that can fix the roads. According to Palm, there are more than a 100 households in her district that require using this route and it would help them a lot if they were fixed."